It is interesting to note the increase of gambling in recent years. The Council of Casinos, in their report of September 24, 2013, stated that in 1991 our country had 184,00 slot machines. By 1991, there wee 947,000. 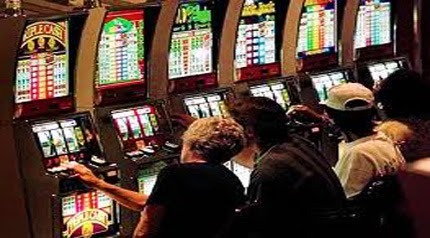 "Slot machines are designed to get players to gamble longer and lose more over time," the report commented. This often leads to problems, such as personal and family financial issues. Many become addicted and think that one more gamble could easily be the one to grant them the wealth that they so desperately want. While casinos used to rely upon high end rollers, now they are more dependent on the frequent lower income slot machine players. On our highways we see at times caravans of busses headed to various gambling palaces. It's not surprising that there is a significant increase in problem gamblers with a negative impact on themselves and their families. It's more troubling now with the advent of online gambling. We can expect more addictions. Gambling in and of itself is not a sin if it's done for recreation moderately and responsibly. It becomes sinful when one disregards his obligations to himself, his family, his work and society, especially the poor. Easily, you can get trapped in your own fantasy world, thinking wealth lies with the push of a button or buying a lottery ticket. Unfortunately, the amount of money waged in real or virtual casinos far exceeds that which is given to charity and churches. A careful examination will reveal how much one is obsessed with self and less mindful of others. As we approach the time when Americans reflect on giving, we might make an accounting of ourselves. Are we in that group that throws tens, twenties and fifties or more in casinos or on lottery tickets while putting ones or less in poor boxes and church collection baskets? How important is that slot machine or lottery to you?